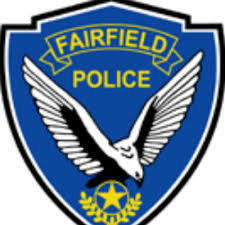 Early this morning Fairfield Police arrested two suspects after receiving regarding suspicion activity. At 2:09 a.m. a witness on the 200 block of Concord Avenue observed a male and female pushing an older blue Ford Mustang down the street. Unsure of the nature of their activity, the witness called the Fairfield Police Department Dispatch Center to report the suspicious activity. Officers responded and found the two subjects, and the Ford Mustang. The Mustang was pulled in front of a BMW and the couple were trying to jumpstart the Mustang with the BMW. Officers ran the plate on the BMW and it was a reported stolen vehicle out of the City of Vallejo. Fairfield residents Michael Heath and Ayla Ohanlon were detained and found that Heath was on PRCS through the California Department of Corrections and Rehabilitation and Ohanlon was on court probation in Solano County. Officers searched the BMW and found a loaded, sawed-off pump shotgun. Both were booked into Solano County Jail on several charges to include possession of illegal weapons, possessing a stolen vehicle and violating their probation and PRCS conditions.